Purchasing gym equipment is a personal decision that you make for yourself and your family. Choose a fitness machine that will assist you in reaching your target or goal. 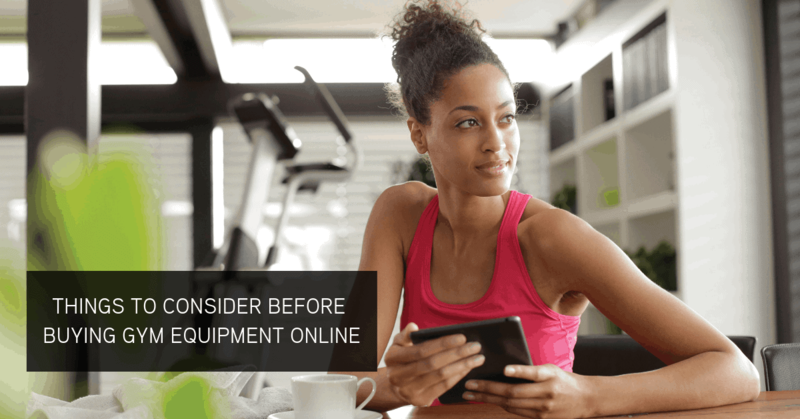 Even though you are purchasing a product online, you should still discuss your goal with an experienced gym equipment sales executive. They will be able to suggest a product that suits your needs and budget. Don’t compromise on quality. Warranty is a good indication of quality, as well as seeing the product for yourself. Capable of fixing your fitness product for you straight away or would you have to wait for spares to be shipped from overseas? Capable and trained to send a technician to you to asses or fix the product? Do you know where the product was manufactured and whether they are a reliable, credible manufacturer? what quality checks went into manufacturing the fitness product? It is better to purchase from a supplier that has control over this process and can guarantee that the product is quality and made to last. Ensure that you know what the warranty of the exercise product is, as this will be a good indication of quality as well.